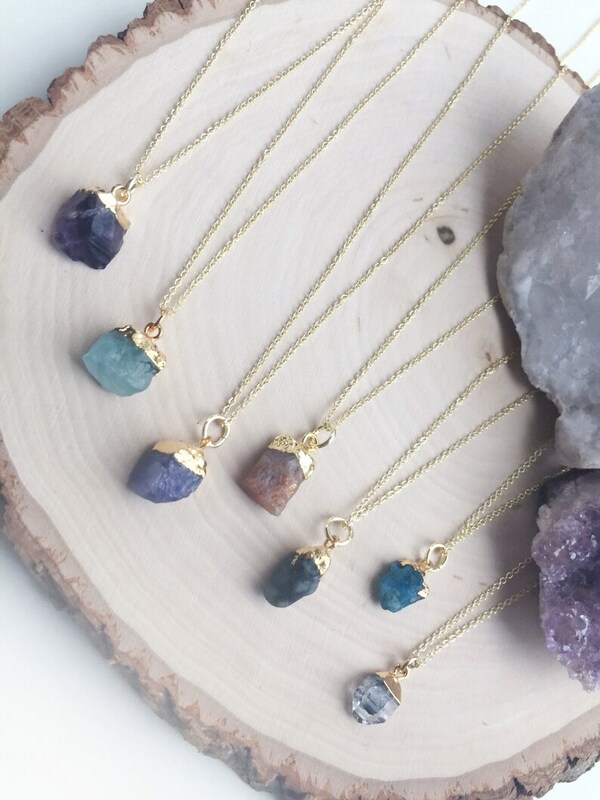 Magical little raw crystal gemstone necklaces - perfect as everyday pieces or layered. These are available in 7 different stones, all raw crystals hung with 22K gold plated pendant tops. Every single one of these is different, please allow for variation in color AND size when purchasing. 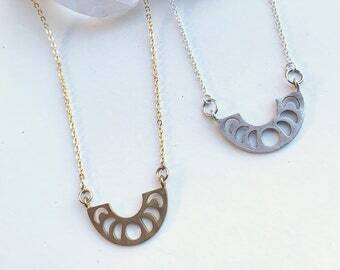 They are handmade on very delicate 18K gold plated chain in length of your choice. Gift boxed and ready for the holidays!